High school’s band doubles in size and spirit under funk-jazz master Frank Abel’s leadership. As director of bands at Roosevelt High School, Frank Abel is a demanding general wielding a conductor’s baton as he guides his troops — the newly resurgent marching band. Wearing a blue pinstriped suit during a recent 8:05 a.m. band class, he urged players, with small gestures of his free hand, to adjust their volume while practicing “Encanto” by Robert W. Smith. Roosevelt High School student Sebastian McIntosh, a freshman, plays the bass drums during rehearsal. 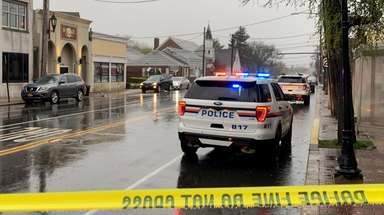 Photo Credit: Newsday / J. Conrad Williams Jr. Unfazed, the students, dressed in blue Roosevelt blazers over black shirts, responded. The massive sounds from saxophones, flutes, piccolos, drums, trumpets, French horns, clarinets and more quickly met his approval, and lured school staff from the hall to listen in. And it was, even with a chunk of the group’s 75 players absent a day before the Presidents Day weekend. 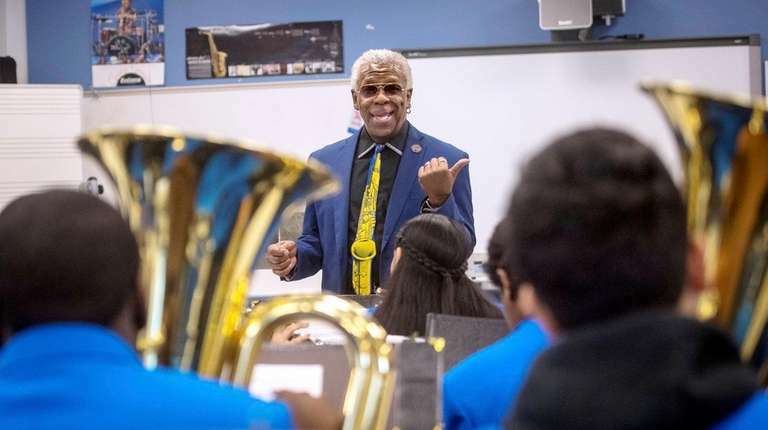 When he came out of a five-year retirement to take the position in 2016 — after 29 years of teaching music and leading other marching bands, as well as an impressive professional career in funk and jazz bands in the United States and Europe, playing with legends such as Etta James, Luther Vandross, Ben E. King and Cuba Gooding Sr. — students at first were both intimidated by and doubtful of Abel. Veronica Arriaza, 18, of Roosevelt, a senior who took up the flute only two years ago and is now the first-chair piccolo player, said the band was “very disorganized” before Abel arrived. It had about 35 to 40 players at the time and didn’t perform at school sporting events. When Abel showed the group a video of his previous work at Uniondale High School, where the marching band was known for its high-energy performances, she thought, “That’s not going to happen here,” she said. Frank Abel teaches his music theory class at Roosevelt High School. 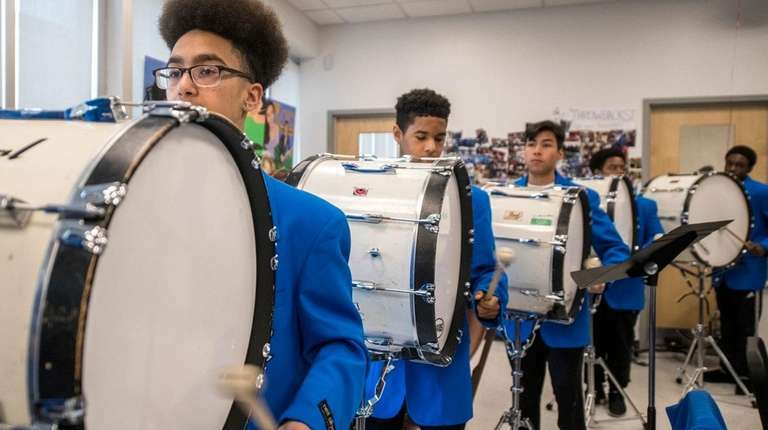 Photo Credit: Newsday / J. Conrad Williams Jr.
Now double in size, the band is expected to grow to more than 110 members next year with an influx of freshman players. 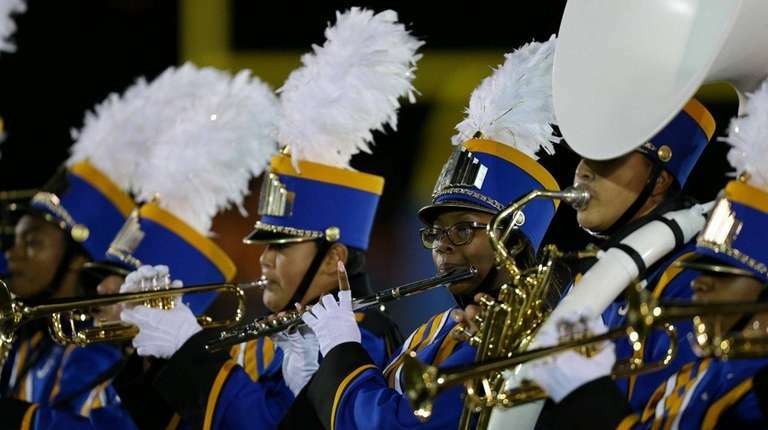 Principal Brodrick Spencer said the district is considering how it will expand the band room and possibly add another band period to meet demand. This comes only four years after the school reopened following a $66.9 million renovation. The band is now a fixture at home football games and local parades. It played in the Newsday Marching Band Festival last October for the first time in 22 years, served as a stand-in pep band for Oklahoma State University at Barclays Center in Brooklyn in November, and is set to perform on May 26 at Riverside Church in Manhattan. Roosevelt High School band director Frank Abel. 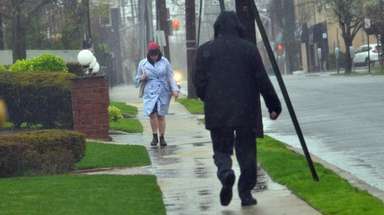 Photo Credit: Newsday / J. Conrad Williams Jr. The interdenominational church was built in 1930 by John D. Rockefeller Jr. and has a long history of advocating for social-justice issues. 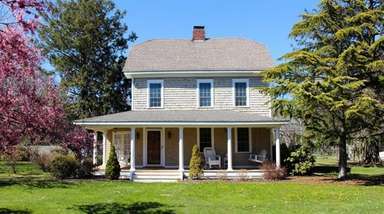 It has hosted notable guests, ranging from the Rev. Martin Luther King Jr., who spoke out against the Vietnam War there, to Nelson Mandela and Bill Clinton. The Theatre at Riverside Church presents dance performances, musicals, operas, plays and other programs. On Feb. 28, the band will play a medley of Prince and Bruno Mars songs at a Black History Month school celebration. What is Arriaza’s impression of Abel now? The question elicited a stream of bittersweet tears. 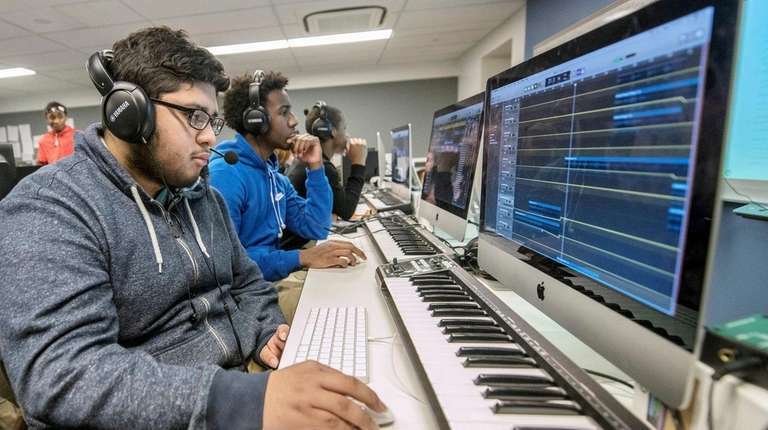 Roosevelt High School junior Luis Trinidad and sophomore Nasir Reid in Frank Abel's electronic music class. 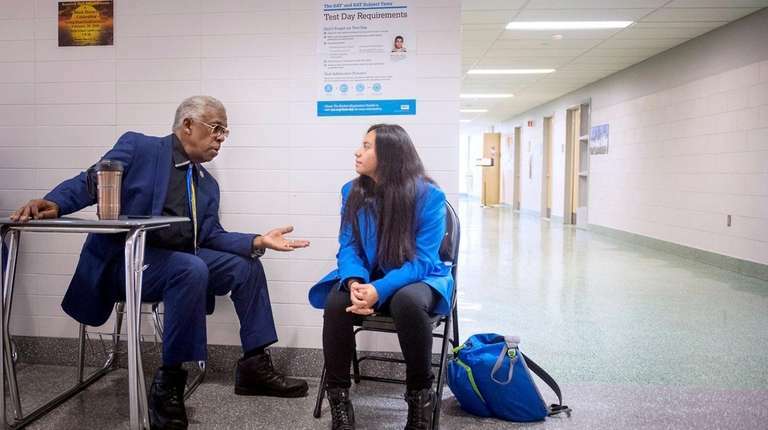 Photo Credit: Newsday / J. Conrad Williams Jr.
She jokes now that she wants to get left back to stay with the band because St. Joseph’s College in Patchogue, where she will be going in the fall to study early childhood education, doesn’t have one. Anthony Rios, 16, of Roosevelt, who is an 11th-grade alto and baritone saxophone player, said Abel has had a tremendous impact on his life by serving as a father figure. Adriana Pereira, 14, of Roosevelt, a freshman flute player who thought about quitting band in sixth grade but stayed with it at her mother’s insistence, said she is now glad she did. 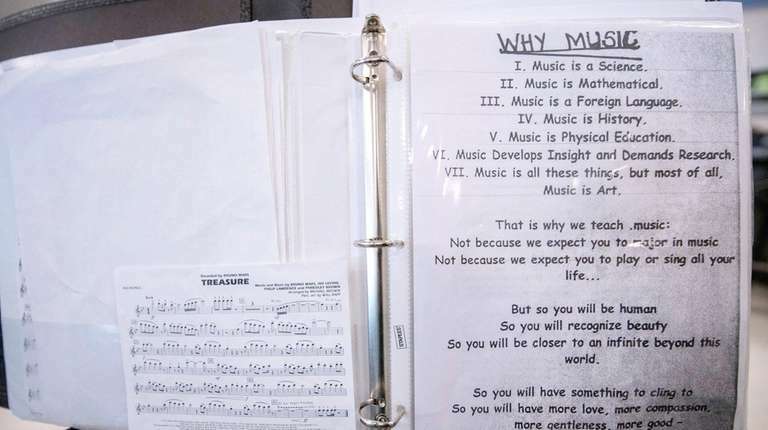 After band instruction, Abel has hall duties, followed by a prep period, a music theory class, a music technology class and then group lessons. For Abel, an only child who lives in the brick ranch house in Roosevelt his parents bought in the late 1950s — which still has the same upright piano he first learned to play on — working at Roosevelt High School was always his dream. Abel always shares these words with his students on the first day of his classes. 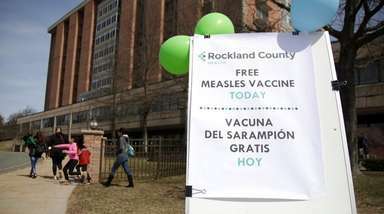 Photo Credit: Newsday / J. Conrad Williams Jr. He interviewed for an opening in the early 1980s after living for 10 years in Europe, where he was based in Paris and played as keyboardist, vocalist and arranger with Ice and the Lafayette Afro Rock Band. He said he was told he wasn’t qualified for the job, despite some teaching experience and a bachelor’s degree in music education from Howard University in Washington, D.C. He later earned a master’s degree, also in music education, from LIU Post. Abel went on to lead the band at Wyandanch Memorial High School from 1984 to 1990; the Jones High School band in Orlando, Florida, for a year; the Mount Vernon High School band from 1991 to 1996; and the Uniondale High School band from 1996 until his retirement in 2011. His son, Nick Liddie, 23, of Roosevelt, was his student at Uniondale and wrote drum cadences for the marching band. He’s now a volunteer drum line coach at Roosevelt, and his father credits him with building that section into a real force. Liddie, who goes to York College in Queens for music with a minor in youth studies, said his father is “exactly the same” outside the classroom as he is with family. Abel is married and has five other children. Abel talks with junior Yisel Fernandez about her plans in the music industry while on hall duty at the high school. 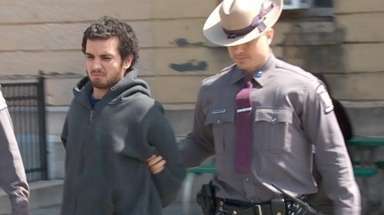 Photo Credit: Newsday / J. Conrad Williams Jr.
“He’s charming and fun and outspoken and honest. Personable. Probably magnified a little,” Liddie said. Imagine what that must be like considering that Abel, who only two months ago had surgery on his right foot, happily accepted a surprise invitation from Principal Spencer to join him in an Omega Psi Phi fraternity step show in front of dozens of students in the auditorium across the hall from the band room. Screams of delight erupted from the crowd as smartphones captured the action. 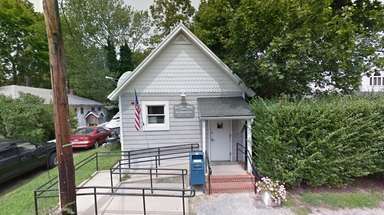 Abel, who has volunteered for numerous local organizations over the years, is a board member and former president of the Roosevelt Public Library. 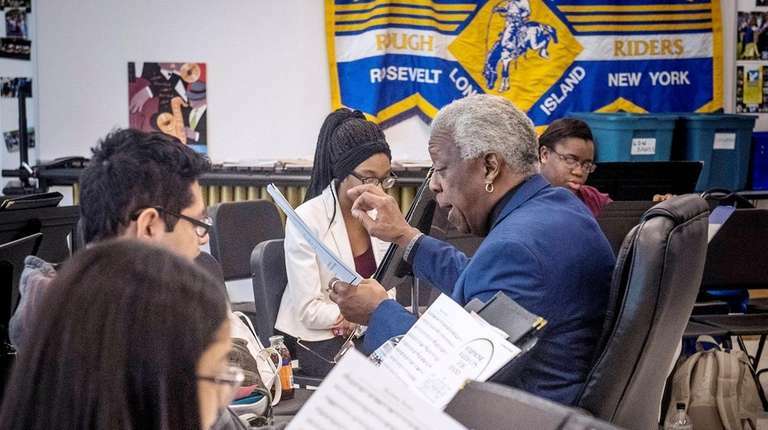 Abel said he had always been interested in the development of the Roosevelt music program and offered his assistance on a consulting level after he retired from Uniondale. Nothing came of it until the job opening in 2016, and even then he almost missed his opportunity to teach at Roosevelt. Superintendent Hazelton recalls that the human resources department recommended someone else for the job. Abel eventually got the job. Abel said the speed with which the program has grown and the succession of its recent accomplishments has surprised even him. An attention-getting routine that serves as both a public alert and a group warmup never leaves any doubt that the Roosevelt High School marching band is nearby at its outdoor performances. The routine was started by director of bands Frank Abel before his tenure at Roosevelt, but has been modified a bit since his arrival at the school, he said.